DynaQuip Controls AP Series Rack& Pinion Pneumatic Actuators are designed to meet the needs of the quarter-turn valve market. 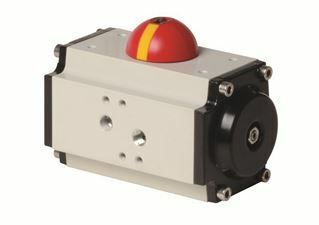 Engineered to be compact, durable,and versatile, these actuators represent the latest technology coupled with economical and long-lasting operation. Our AP Series actuators are available in double acting and spring return models with torque outputs up to 46,540 inch-pounds with a 100 PSI air supply.